Large or small Bail Bonds we can help! 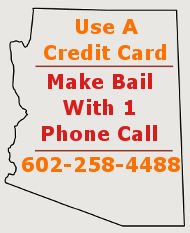 Buy Apache Junction bail bonds the fast easy way! Maricopa County Bail Bonds is not just another Apache Junction bail bond company. Although we are the most experienced, and fastest bail bond company in Phoenix, AZ, we offer the same first rate service to our clients in all of the cities in Maricopa County. When helping out one of our clients from Apache Junction, Arizona, we take the time to them with an intimate understanding of the Apache Junction bail bond process. Our company will not confuse you, and make things seem more complicated than they already are. We provide you with an honest assessment of your bond situation and work to gain your satisfaction and trust. All of our bail bondsmen realize that over 90% of our clients do not understand the full scope of the bail bond process. We prefer to educate our clients so that they have thorough understanding of the risks associated with buying an Apache Junction bail bond. Our willingness to walk our clients through the process step by step is why they continue to exclusively use us for all their bail bond needs. Our Apache Junction bondsmen continually strive toward establishing strong community ties and relationships with our clients. Our Apache Junction, AZ service provides bail bond assistance to clients who have special needs. Our Apache Junction bail bond agents have posted some of the largest bail bonds in the state. Typically a bondsman considers any bond that is equal to, or greater than, $50,000 to be a large bond. When dealing with large bonds of this size, families are required to come up with large sums of money and collateral to cover a bail bond out of Apache Junction. More times than not, this will require a coordinated effort of multiple parties in order to have the proper collateral for the bond. Our in depth of knowledge in real estate and other forms of acceptable collateral is what allows us to close transactions faster than our competition. Our Apache Junction bail bondsmen are experts in expediting the process to secure release of your loved one from jail. No matter how dire the situation may appear at first, we will work relentlessly to exceed your expectations and navigate any difficult situation that may arise. Learn more about Large Bail Bonds. Sometimes the court may issue a bond that can only be paid in cash. This means that the entire sum of the bond must be delivered in cash in order to secure the release of the inmate. Cash bonds are different than the Surety bonds that most bail bond companies are used to dealing with. Most bail bond companies cannot or will not post a cash bond. Our company has posted cash bonds for many years at all of the Maricopa County jails; we can either post our cash, or yours by acting as your agent. Visit some of the additional areas of Maricopa County Bail Bonds website to learn more about cash only bonds in Arizona. Our services are not limited to securing release directly at the jail with you present. We are one of the few companies in the entire state of Arizona that offers a truly mobile bail bond service in Arizona. Often people who are putting up the money and collateral for a defendant cannot leave work during the day or make a long trip to the city where the accused has been arrested. Our agents offer mobile bail bond service anywhere in Apache Junction and the rest of the county. We understand that life happens, and the last thing needed is a bigger interruption than what an arrest already causes. Getting notified of a loved one being arrested can be a stressful event, and it is common knowledge that you're more likely to get in an accident if under a lot of stress. Our mobile, doorstep service will allow you to focus on whatever it was you were doing when you received the call from your loved one. Our rates are fair, and are charged in addition to the normal fee to cover the associated costs of fuel and time that comes with a doorstep bail bond service. Getting someone out of jail is a truly traumatic event and often will consume an entire day for someone with the wrong agent. Our bail bond agents servicing Apache Junction will take that extra stress off your plate and get your loved one out while you continue with your day. Having a loved one incarcerated in a Maricopa County Jail is difficult enough for someone living in Apache Junction let alone in another part of the United States. Our bail bond agents are well equipped to process the necessary paperwork to secure a speedy release of your loved one no matter where you are in the country. We can provide you with the same reliable service that our clients in state receive. Credit card transactions are one of the quickest and easiest ways to secure a bail bond. Often credit card payment are the only way for people to secure a bond in a timely fashion. For clients not close to the jail, or ones that are out of state this is fastest method available. The simplest means of posting a bond is by using a credit card, and this is the best way to get one secured after hours. Once the criminal court proceedings are finished, the bond will be exonerated by the court and the bond will be returned to the client (premiums and any fees are non-refundable). Credit card processing fees will also apply. Learn More about Credit Card bail bonds. One of the fastest ways to get a bail bond is through direct cash deposit into one of our Apache Junction bail bond accounts. Cash funds may be deposited directly into one of our bank accounts. In most cases the confirmation of a deposit into our bank account will be instantaneous, although in some cases other states may not clear the transaction for up to 24 hours. Transaction processing times of large cash deposits require confirmation with the financial institution prior to making a deposit. We have the convenient ability to accept cash deposits to one of the following major banks. Although these financial institutions are major, worldwide banks, they may not be available in your area. If none of these are available to you, or if the time it will take for the transaction to clear is not fast enough, you may wire the funds directly from your bank or credit union to ours. Additional fees may apply, please see the information below pertaining to this type of transaction. Wired funds can take a few hours to process, and depending on the time it was initiated, it can sometimes not get final clearance until the next business day. Wiring funds from one financial institution to another is not a hard process to go through, and can be done from any bank or credit union. This type of transaction is the preferred method in instances where none of the banks that we use are available in your area for direct cash deposit. In order to wire funds directly to our Apache Junction bail bonds agent you will need our routing number for your bank to use. This method of bond processing can take a few hours before the deposit will show in our account. Transactions that occur later in the day will not be available until the following BUSINESS DAY. Funds must clear both institutions prior to a bond being processed in Maricopa County. Most banks and credit unions will charge a nominal fee for the wire transfer. Please consult with your financial institution on their rules and time frame for clearing the funds. Our strong and extensive network of bail bond companies across the state of Arizona allows us the flexibility of processing your paperwork no matter where your loved one is incarcerated. Not only are we the best bail bond agency in Apache Junction, but we have a large affilate network providing the best bail bond service in Northern Arizona. Our organization can provide service for Flagstaff bail bonds at the Coconino County Jail. We also process Holbrook bail bonds at the Navajo County Jail, Camp Verde bail bonds at the Yavapai County Jail and Gila County bail bonds.